New Members are now able to register for membership ! 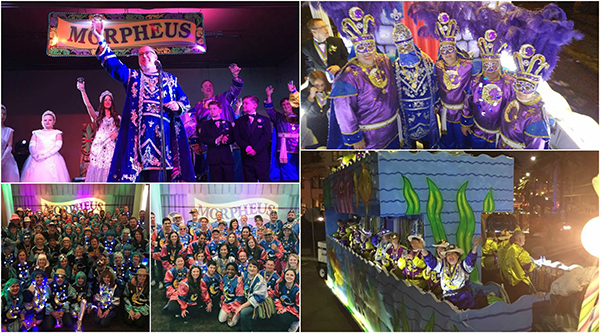 The Krewe of Morpheus parades on Friday February 21, 2020 ! Founded in 2000, the Krewe of Morpheus is one of the premier Co-Ed Mardi Gras Krewes in New Orleans. Parading on the Friday night before Mardi Gras day, Morpheus follows the historic route down St. Charles Avenue. We are proud to be an integral part of a night known as FANTASTIC FRIDAY, which features three large parades kicking off the biggest weekend in Carnival. Although we are the last krewe to parade on Friday evening, we are certainly not least, as the Morpheus riders are known for being very generous with their throws. Our signature throws include: LED Beads, LED Sleepy Time Hats, 3D Cups and Plush Sheep, Moons, Pillows and Bears. This year the Krewe will feature signature, hand-decorated sleep masks. LAISSEZ LES BON TEMPS ROULEZ !